If your skin is dry or oily, caring for it is fairly easy. But when hydrating creams become too rich and oil absorbing masks are too harsh for you, it can be daunting to find the right balance in skin care. 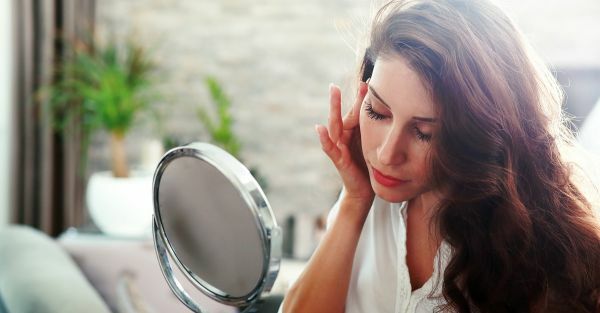 Most women think their skin is either dry or oily, whereas it is usually a combination of both. Here are some signs you may also have combination skin! Your T-zone, i.e., your forehead, down the nose and to the chin, is oily and acne-prone, while your cheeks are dry. The T-zone gets shiny halfway through the day, but washing it makes the rest of your face look dull. Fix it: Use an astringent or a toner for oily skin on the T-zone as part of your skin care routine and use a face blotting paper during the day to neutralize any shine. 2. Wash now, stretch and shine later! Approximately twenty minutes after washing your face, certain parts feel oily and shiny, while certain parts feel dry and stretched out. 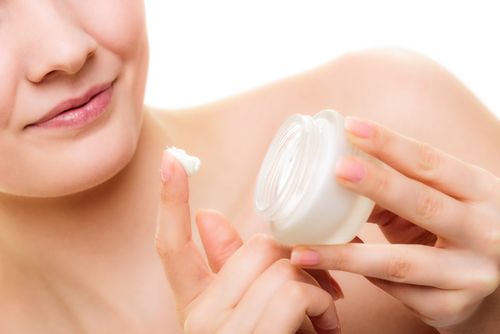 Fix it: Use a moisturizer designed for combination skin immediately after washing and toning. Even oily skin needs to be moisturized, else it tends to produce more oil. 3. Pores here, none there! The pores on your nose and forehead are more prominent than those on your cheeks. Fix it: Exfoliate regularly with a gentle exfoliator; follow up with a pore-shrinking toner, astringent or serum on the large pores and skip the other areas. Finish with an oil-free/ alcohol-free moisturizer. Also read: What To Do First Thing In The Morning For Glowing Skin ALL Day! You experience breakouts, yet have dry patches. Your skin feels dry and dehydrated, but it looks shiny and pores are clearly visible. Fix it: Spot treat your problems. Use blemish/ acne control products only on the actual blemish/acne. Treat the dry part of your skin to a hydrating lightweight moisturizer. Products for oily skin work beautifully on certain parts (aka, the T-Zone) while drying out the other parts of your face. Similarly, products for dry skin make some parts of your skin feel comfortable while making the others an oily mess. As a result, you either end up using products for both the skin types or none at all! Fix it: Use products formulated specifically for combination skin. They have hydrating and mattifying properties which ensure that your skin is cared for on the whole. Opt for alcohol-free products as alcohol aggravates dry as well as oily skin. Also read: 7 Simple Ways To Fight Oily Skin During The Summer! Extremities in the weather aggravate the dual nature of your skin. In the summers, the oily parts may feel slick and shiny while the dry parts may feel comfortable. Similarly, in the winters, the dry parts may range from feeling uncomfortably stretched out to intensely flaky, while the oily parts may feel comfortable. 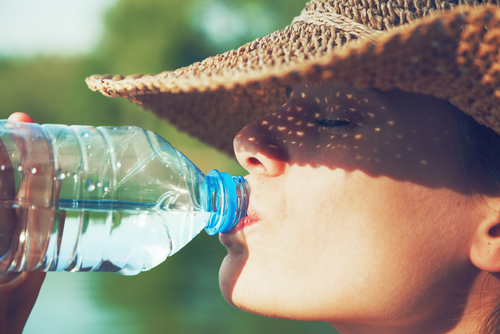 Fix it: Taking regular showers and drinking ample amounts of water ensures that the body temperature stays regulated. It also gives your skin the hydration it needs, thereby regularizing the nature of the skin. In the winters, in addition to your regular skincare regime, supplement the dry areas with additional moisturizer, if required. In the summers, face blotting papers are your best friends to keep slickness at bay. Opt for a purifying face mist to refresh your skin through the day. 7. Blackheads on the nose, ALWAYS!